After browsing around Margola for quite awhile, I decided to pick up some opaque 13/o Charlottes. These are sparkly seed beads with one facet. These are sold in large quantities, but since they are so expensive, they are also sold in small quantities. I also picked up some vintage bicycle reflectors! These looked like old car headlights to me – they are way cool! Also, I don’t usually buy stones, but I saw a few I couldn’t resist. These are dichroic glass, Red Creek Picture Jasper, and Cuperite / Chrysacolla. After ultimately deciding the I didn’t need 4-lbs. 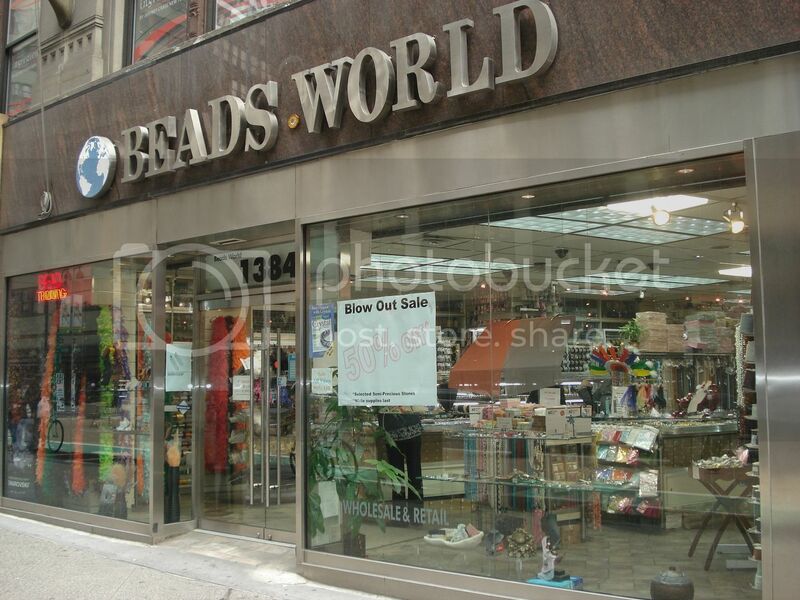 of seed beads, I went over to Beads World at 1384 Broadway (between 37th & 38th St.). 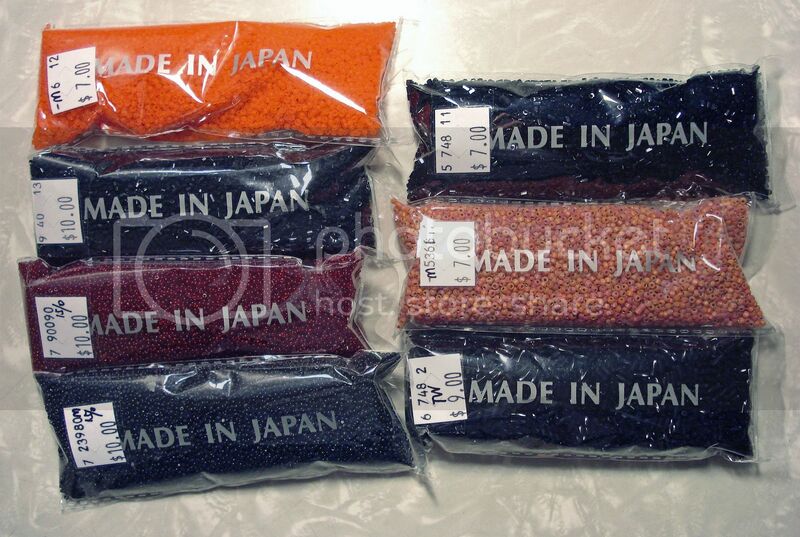 Beads World sells good quality Japanese seed beads in smaller quantities. They mostly sell size 12, but there are also size 15 – perfect for me! 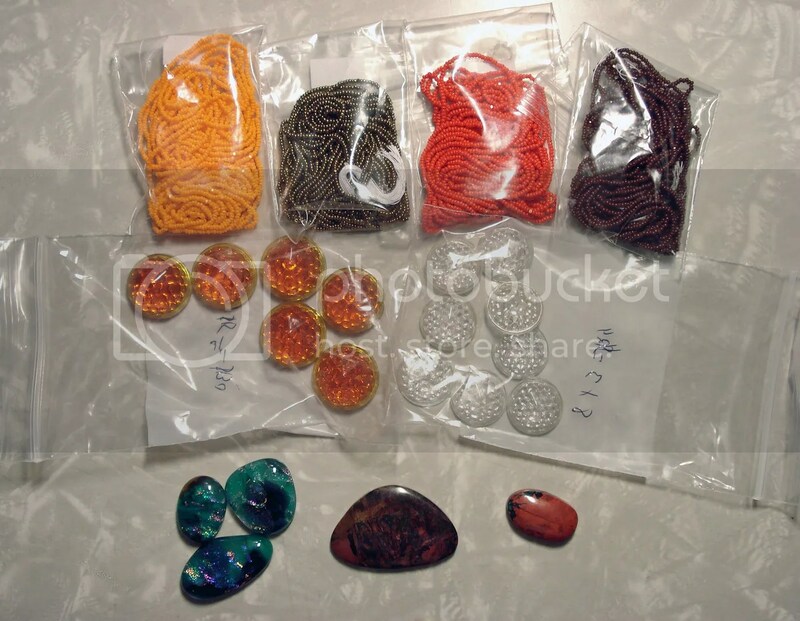 Here are the beads I got – several different blacks, a couple of oranges, and a dark red. 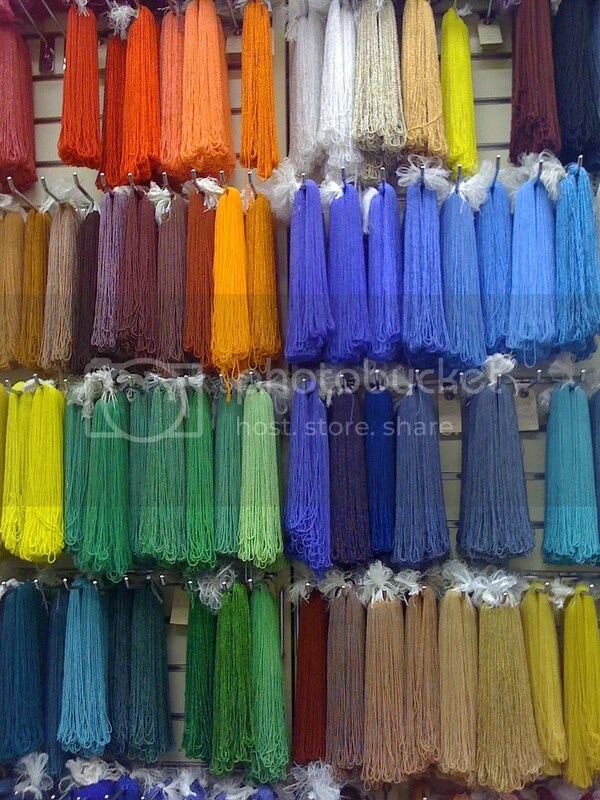 I find it very difficult to shop for seed beads sometimes because I need & want them all. It seems I can’t really control the urge. When this happens, I usually just purchase a lot of one colour that I know I really need. « >In the Beading News! >Whew..thought I was the only one that felt the need to 'have' just some more beads!! >Wow!!! I'm speechless! I'd love to go bead shopping there. But I'd probably need to use some of my stash first 🙂 How lucky are you! Thanks for posting this! >Gaaa …so jealous !!! I would be standing there drooling. What a nice way to spend the day. >I get sensory overload when faced with so many choices. Then I either buy way more than I want or need or buy nothing at all (depending on the state of the economy — in our household — at the time). I love going to places like that but I really do become a little crazed by such gloriousness! I am like that in whatever phase I'm going through (you should see my yarn stash). 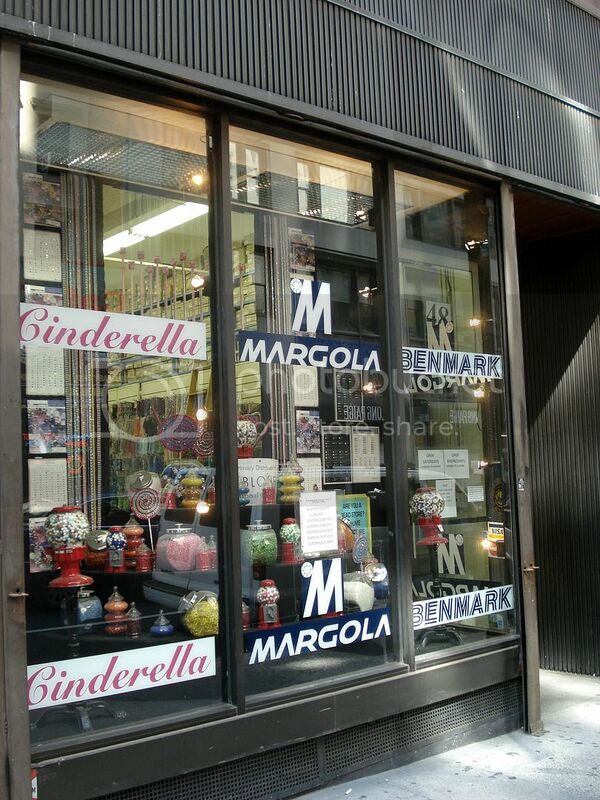 >Ooooh, bead shopping in NYC! The last time I went bead shopping in the city was before I had my son back in 2008. I remember going into Beads World and just being very thankful that I had NOT brought my credit card with me. The other bead shop I love in NYC is York Beads – they also have gobs and gobs of Czech seed beads, but they also have pressed glass, hanks of rectangular glass beads, and all shapes and sizes of the glass leaves that I love so much! I'm actually heading into the city this weekend for a work conference, but you better believe I'm gonna do some shopping! >Nice article! The most awesome collection of seed beads I've ever seen was on a corner wall in the museum leading into the gift shop at Crazy Horse> Every color and shade imaginable. Other people wandered around the museum, I sat in a corner and stared at that collection of seed beads.